Each of us has a personal life – our relationship with ourselves; and a social life – our relationship with others. 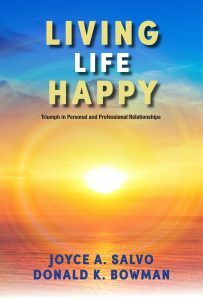 Living Life Happy is designed to help you become the best version of yourself – your authentic self in both your personal and social lives. The goals are achieved by following a simple step-by-step approach with each element building upon the other. A hardcopy of all six books may be the best choice for you. By holding the book in your hands, you will be able to connect more thoroughly, feel the shifts as you read, and have a quick reference for your notes. 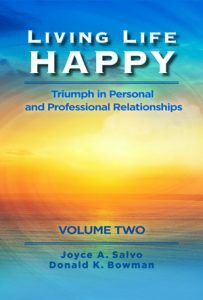 This complete version of all six books offers you an ongoing means to facilitate Living Life Happy in the most personal ways. 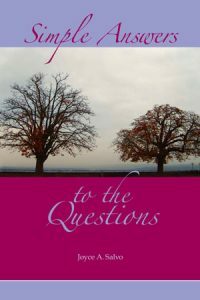 This book defines how to recognize the stress in your life, how you cope with stress and the importance of understanding all aspects of yourself. Beyond this comes the awareness of your personal leadership skills and how you can affect your environments while other environments affect you. 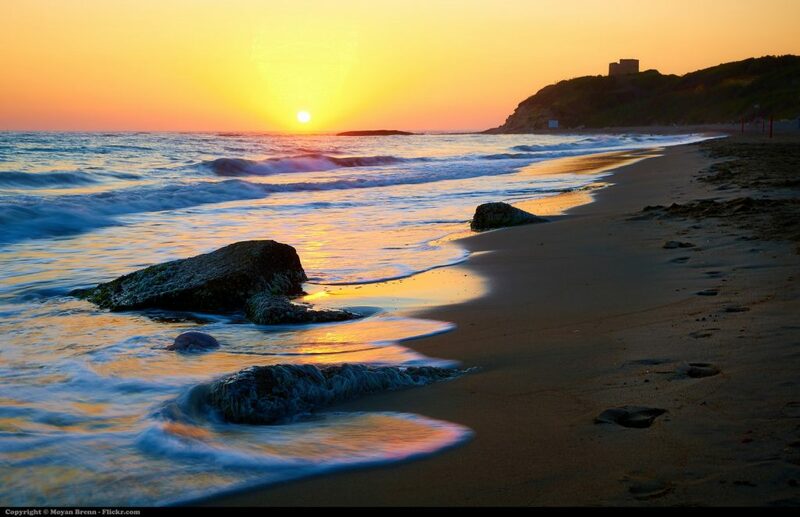 Reality becomes apparent that it all is just a choice in the end. By applying all that you learned in Volume 1, you will be able to open to a deeper understanding of the patterns you have created. We tend to create these patterns to cope in different social environments or we allow those environments to affect us. 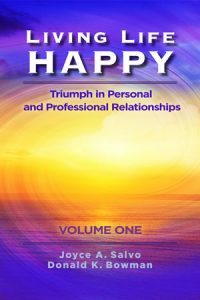 New, easier, more effective coping skills are discussed and realized in this volume of books which activate a balance and happiness in all parts of your life. Sometimes a book comes along that reaches out of the printed words and touches something inside you. If you are so blessed to have drawn that book to you, the answers will be awakened within you. This book holds that special energy that reaches beyond the words and touches deep inside your very essence. As you read it, you may also feel it, and when you do, life experiences may begin to alter as well.